Founded by a devoted mother - to assist those affected by autism. HALO. The HALO Foundation was founded in 2011 by Cami Marseilles shortly after her four year old son Kai began to show autistic-like symptoms. Shortly after noticing Kai's symptoms, her youngest son Koa began to also show signs. Working to help Kai and Koa, Cami learned first-hand the difficulty and expense of getting an accurate diagnosis and proper treatment for a child with a special need. Faced with the cost of therapy throughout the year for both boys, Cami wondered how families without access to good resources could find out about and afford proper treatments for their own children. Kai and Koa had shown such great progress with his therapies that Cami felt she had to give as many other children the same opportunities for treatment regardless of their financial state. She became determined to educate families about appropriate therapy options and to help lower-income families afford otherwise unattainable treatments. To do this, she engaged what she knew best – dance. 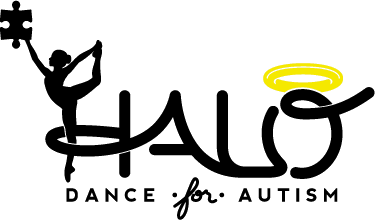 Through her passion for dance and her desire to help others, the idea for the HALO Foundation was born. "FOR THE LOVE OF A SON" - CAMI MARSEILLES 2011. DEDICATED WITH LOVE TO HER SON KAI, THE INSPIRATION BEHIND THE HALO FOUNDATION.